We are absolutely thrilled to bring you the Cover Reveal for K.A. Tucker’s "Surviving Ice." "Surviving Ice" is a New Adult Romantic Suspense novel and the fourth novel in K.A. 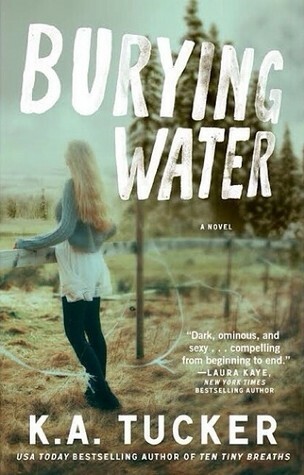 Tucker’s "Burying Water" series, published by Atria books, an imprint of Simon & Schuster. 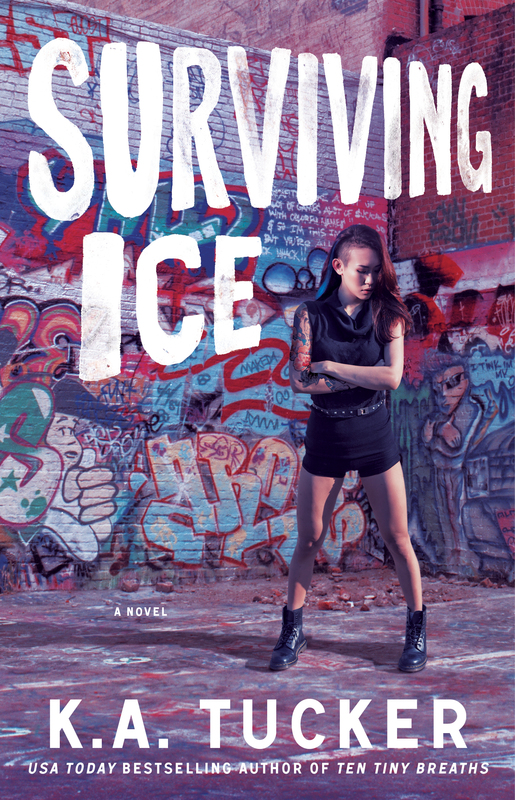 "Surviving Ice" is set to be released October 13, 2015! About SURVIVING ICE:Ivy Lee, a talented tattoo artist who spent the early part of her twenties on the move, is looking for a place to call home. She thinks she might have finally found it working in her uncle’s tattoo shop in San Francisco. But all that changes when a robbery turns deadly, compelling her to pack up her things yet again. About BURYING WATER:The top-selling, beloved indie author of Ten Tiny Breaths returns with a new romance about a young woman who loses her memory—and the man who knows that the only way to protect her is to stay away. 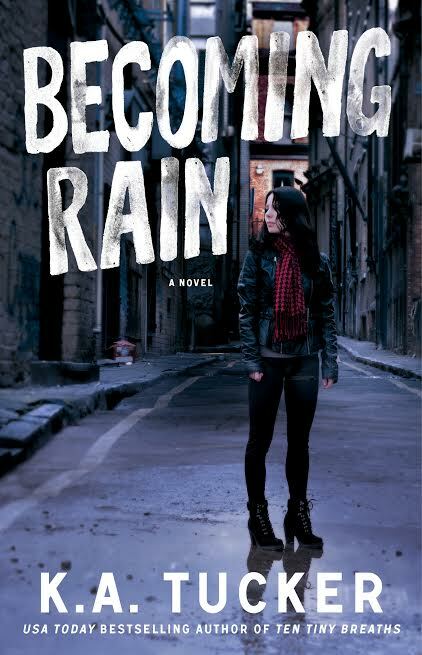 About BECOMING RAIN:Luke Boone doesn't know exactly what his uncle Rust is involved in but he wants in on it—the cars, the money, the women. And it looks like he's finally getting his wish. When Rust hands him the managerial keys to the garage, they come with a second set—one that opens up the door to tons of cash and opportunity. Though it's not exactly legal, Luke's never been one to worry about that sort of thing. Especially when it puts him behind the wheel of a Porsche 911 and onto the radar of gorgeous socialite named Rain. 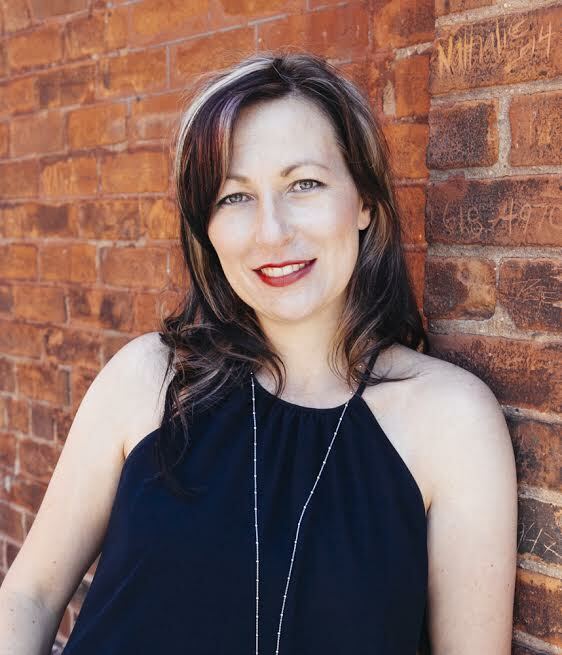 About CHASING RIVER:Armed with two years' worth of savings and the need to experience life outside the bubble of her Oregon small town, twenty-five-year old Amber Welles is prepared for anything. Except dying in Dublin. Had it not been for the bravery of a stranger, she might have. But he takes off before she has the chance to offer her gratitude. Twenty-four-year-old River Delaney is rattled. No one was supposed to get hurt. But then that American tourist showed up. He couldn't let her die, but he also couldn’t risk being identified at the scene—so, he ran. Back to his everyday life of running his family’s pub. Only, everyday life is getting more and more complicated, thanks to his brother, Aengus, and his criminal associations. 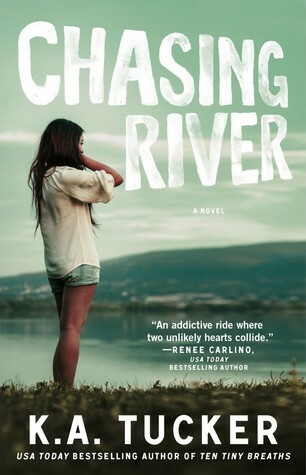 When the American girl tracks River down, he quickly realizes how much he likes her, how wrong she is for him. And how dangerous it is to have her around. Chasing her off would be the smart move.